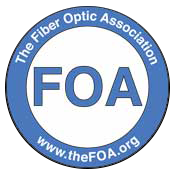 Posted November 17, 2016 by Connected Fiber & filed under Fiber Optic News. Google might be scaling back its fiber optic network deployment for now, but that doesn’t mean other telecom companies are curbing their own ambitions of bringing fiber to the home. In fact, Google’s announcement may have provided an added incentive for companies like Verizon and AT&T to aggressively pursue fiber optic deployment in new untapped markets. This week, residents of a number of US cities woke up to the news that AT&T’s gigabit fiber optic service is now available in their areas. 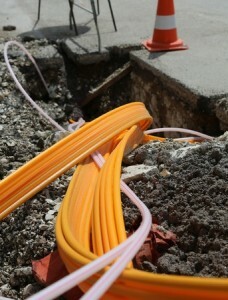 In Florida, for example, AT&T expanded its gigabit service beyond Jacksonville to areas as far away as St. Augustine. Meanwhile, on the other side of the country, residents of Pasadena, California can now access AT&T’s ultra-fast fiber optic network as well. In the Southwest, Reno is the latest city to gain access to the gigabit Internet speeds. Back in the Southeast, AT&T also expanded its service to Birmingham, Alabama and Charlotte, North Carolina. In a single week, AT&T has brought gigabit Internet speeds to at least 5 new areas in states all across the country. For businesses in these areas, access to the fiber optic network could provide new opportunities for growth and development. Municipal offices may also be able to use the network to actively monitor utilities and speed up their response to things like power outages and water main breaks. The increased bandwidth could allow schools to improve STEM programs and give teachers the opportunity to leverage the latest educational software in their classrooms. Here at Connected Fiber, our work is never done. For nearly 20 years, we’ve made it our mission to expand the fiber optic network in the Raleigh-Durham region of North Carolina so businesses and individuals can take advantage of this groundbreaking technology. Stay tuned for more updates from our blog, or give us a call today to learn more.